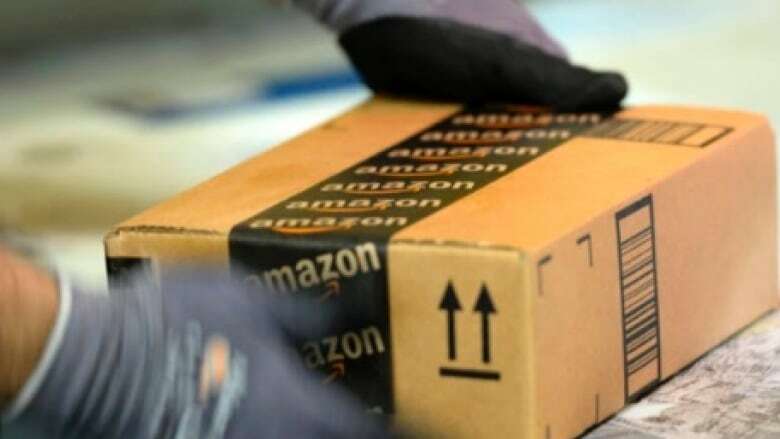 Amazon says it will soon offer same-day delivery to its Prime customers in Toronto and Vancouver who order something online worth more than $25. The service has been available in the U.S., but the online retailer is rolling it out in Canada for the first time ahead of the busy holiday shopping season. "Prime was developed to make shopping on Amazon fast and convenient, and Prime members in Canada can now enjoy fast, unlimited, free Prime delivery seven days a week," spokesman Alexandre Gagnon said. Any orders on eligible goods in those markets placed in the morning wil be delivered by 9 p.m. that day, the company says. While the move updates the retailer's offerings in Canada to what's standard in the U.S., Canadians still don't have all the benefits. For $79 a year, an Amazon Prime membership gives Canadian customers faster deliveries at no additional charge. But in the U.S., a Prime membership also comes with streaming movie, television show and music services, which aren't available in Canada. Not everything Amazon sells is eligible for the same-day delivery, but Amazon says one million items in the Toronto-area market and 700,000 items are included to customers near Vancouver. Same-day delivery will be available for non-Prime customers, too, but at a cost of $11.99 per order (or $1.99 per pound for heavy items). Earlier this month Amazon, upped the minimum price to $35 for free shipping, but that service won't be on the same day. Amazon launches 1-hour alcohol delivery service in the U.S.